Dan joined Commonwealth Financial Group in 2013 as a Design Center Analyst. In his role, he worked with the advisors on interpreting client information and case design. 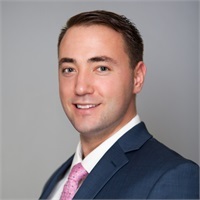 Prior to CFG, Dan worked in the Financial Planning Department at Baystate Financial where he acted as a Case Manager for fee-based financial planners. In addition to his work on cases, Dan is responsible for driving the adoption of comprehensive, fee-based planning, as well as the overall ease of doing business with the Design Center. He graduated from Bentley University with a degree in Finance, a Liberal Studies Major in Ethics and Social Responsibility and Minor in Management. Dan currently resides in South Boston and some of his personal interests are playing and watching sports, traveling, and movies.